Should You Use Kickstarter for Your Business? 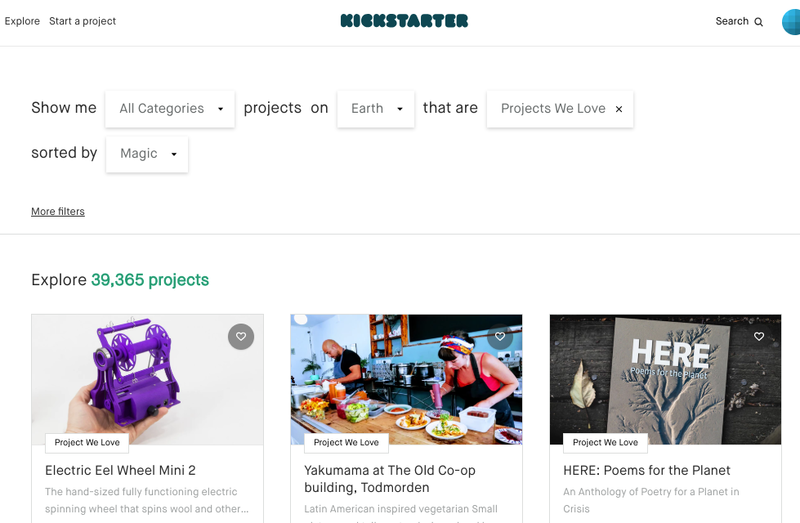 Kickstarter, a business crowdfunding platform launched in 2009, has helped over 150,000 businesses and projects collectively raise $4 billion in funding. 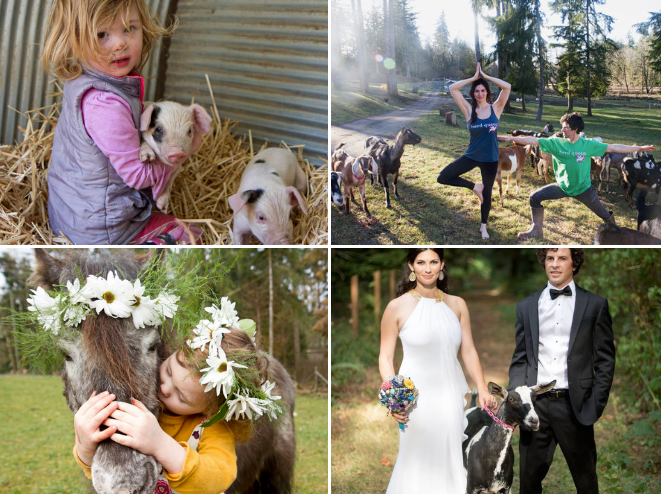 Small businesses that are successful on Kickstarter often go on to build a loyal customer base and earn positive social media and press coverage. And unlike a business loan, the money you raise on Kickstarter is completely yours to keep. Kickstarter can be an excellent platform for small business owners with an interesting project and compelling story to share. However, it certainly isn’t as easy as creating a Kickstarter account and seeing the money pour in. You need to invest time and resources into your Kickstarter campaign and think strategically if your campaign is to be successful. The truth is that only about 37% of business owners who launch a Kickstarter campaign reach their funding goal. Read this guide to learn how to stand out and join the ranks of successful Kickstarters. The actual mechanics of how Kickstarter works are pretty easy. Any professional in the following industries is eligible to launch a campaign on the platform: arts, comics, crafts, dance, design, fashion, film and video, food, games, journalism, music, photography, publishing, technology, and theater. Many small businesses can fit into one of these categories. That said, one thing to keep in mind is that the Kickstarter platform is designed to help you raise money for a specific project. For example, you can raise funds to launch a new product line, purchase materials and supplies, or open a new location. You can’t use Kickstarter to raise funds to start a business, without a specific goal in mind. 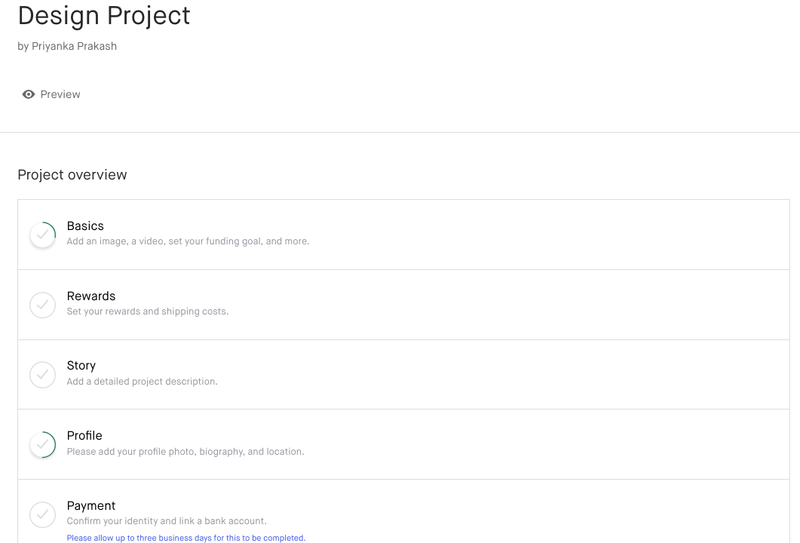 Project page: Your webpage on Kickstarter that lays out all the details of your project. Backer: A supporter who pledges financial support for your campaign. Funding goal: The amount of money that you need to complete your project. Creator: The small business owner or creative professional behind the project. Rewards: The experiences or products that backers receive from the creator in exchange for their financial support. Create a Kickstarter account. Creating an account is free and takes just a few minutes. All you need to do is provide some personal information and create a password. Set your rewards. Next, you’ll have to figure out what to reward your backers in exchange for their financial support. Some backers provide only $1, while others might provide $5, $20, $100, or more. You can set different reward tiers for different levels of support, but you should be sure that you can follow through on producing and delivering these rewards. Connect your bank account. The last step is to connect your business bank account to your Kickstarter account so that you can receive the funds. To learn more about Kickstarter and feel more prepared before launching your project, it’s a good idea to browse successful projects. This can help you find patterns of what has worked in your industry and what hasn’t. Anyone who is 18 years or older in one of the creative industries mentioned above is eligible to use Kickstarter. Clear, honest representation of your project: You’ll need to show backers a clear design or project prototype, and you can’t substitute photo renderings. You must be honest about what you’ve accomplished so far and what you plan to accomplish with the funding you receive. Projects can’t fundraise for charity: Though nonprofit organizations are free to raise money on Kickstarter, funds can’t go toward a charitable cause. Projects can’t offer equity: Investment isn’t allowed on Kickstarter, so you can’t offer revenue sharing, equity, or other investment opportunities for your backers (some other crowdfunding platforms, such as Indiegogo, do allow equity-based funding). Projects can’t include prohibited items: Certain types of projects, such as those involving energy drinks, health products, cannabis, or financial/business services, are not permitted on Kickstarter. In addition, the creator must create and deliver the reward; you can’t just repackage or resell an existing product. Kickstarter uses an all-or-nothing funding model. That means that if you don’t have enough pledges to reach your funding goal, you don’t receive any funding. And if you receive funding that exceeds your goal amount, you get to keep the extra money. Playing by the Kickstarter rulebook is important. If you violate any of these rules, you could get yourself banned from the platform or potentially expose yourself to legal action from backers. Kickstarter makes money by taking a cut from the funds that backers pledge to you. If you’re unable to fund your project, there are no fees, so you can try Kickstarter risk-free. If your project is successfully funded, Kickstarter will collect a 5% fee. Plus, credit card processing fees between 3% and 5% go to Stripe, Kickstarter’s credit card processor. Pledges under $10 have a discounted total fee of 5% + $0.05 per pledge, which is Kickstarter’s way of encouraging creators to raise small amounts of money from a large number of backers. Remember that there are also shipping fees if you’ll be delivering a tangible product to your backers. These are accounted for in backers’ pledges. In other words, if a backer is pledging $10 but your shipping fees to deliver the product to them are $8.95, then they will actually pledge $18.95. Launching a Kickstarter campaign definitely has perks, but it’s not a good fit for every small business owner. Nearly two-thirds of businesses fail to achieve their Kickstarter funding goal. You should carefully weigh the pros and cons before launching a campaign. Validates your business idea: If you successfully raise money on Kickstarter, it means your business has a good chance of succeeding in the wider market. Think of your Kickstarter backers as a focus group for your project. Expands your customer base: A successful Kickstarter campaign can go viral and help you expand your existing customer base or fan base. No debt or equity: If you’re successful on Kickstarter, all you have to give backers in exchange for their money is a reward that you set. You don’t have to pay interest as you would for a business loan or give away equity in your company. Takes a lot of pre-launch effort: Before launching your campaign, you need to invest time and resources building up your social network and creating buzz around your project. Taxes eat away at funds: Many business owners forget that any money they raise on Kickstarter is considered taxable income. You’ll need to pay both income tax and sales tax on the proceeds, so you must factor that into your overall fundraising goal. All-or-nothing funding: Even if you fall slightly short of your Kickstarter funding goal, no luck—you won’t get any funding. You must raise an amount that’s equal to or greater than your fundraising goal in order to actually access the funds. The best way to succeed on Kickstarter is to build up a network of supporters before you even launch your campaign. People prefer to contribute to campaigns that are already receiving engagement, just as you’re more likely to “like” something on Facebook if others have already liked it. Building up your own network of friends and family is key. They will probably be the first backers to pledge money in support of your project, and they can motivate their own networks to contribute as well. Rachael Taylor-Tuller, founder of Lost Peacock Creamery, raised money on Kickstarter to build out a portion of her goat dairy farm. Although you might not think of it this way, your Kickstarter campaign page is equivalent to pitching an investor to invest money into your business. The face you present to would-be backers matters. You should take the time to develop a compelling project description, post high-quality images of yourself and your product or service, and upload a video showcasing your work. One thing that can really help here is to browse other successfully funded projects that are in the same industry. You should put your own unique spin on your project page, but exploration can give you a good idea of what types of textual and visual elements have received traction in the past. In order to succeed on Kickstarter, it’s important to come up with an attractive rewards structure and set a realistic timeline. Your rewards structure should incentivize backers, pique people’s interest, and make them feel like they are a part of your project. And rewards come in tiers, tailored to the contribution amount. Rewards for product sellers are more straightforward than businesses that sell services or experiences. 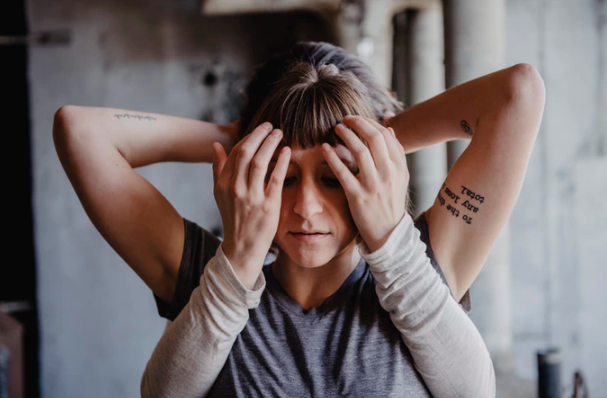 Sarah Council is a choreographer and the artistic director of a dance studio. She offers shoutouts on social media for her small-scale Kickstarter backers, dance studio merchandise for mid-tier backers, and show tickets for large-scale backers. The timeline for your campaign should also be realistic. In most cases, campaigns that last 30 or fewer days are most successful because they create a sense of urgency among backers. You’ll also have to provide an estimated delivery timeline on rewards and provide regular updates to your backers on how you’re progressing. As far as taxes go, a good rule of thumb is to add 20% to your estimated funding needs to cover the amount of money you’ll have to pay in taxes. Most of the other costs you can source from your financial statements or business plan. 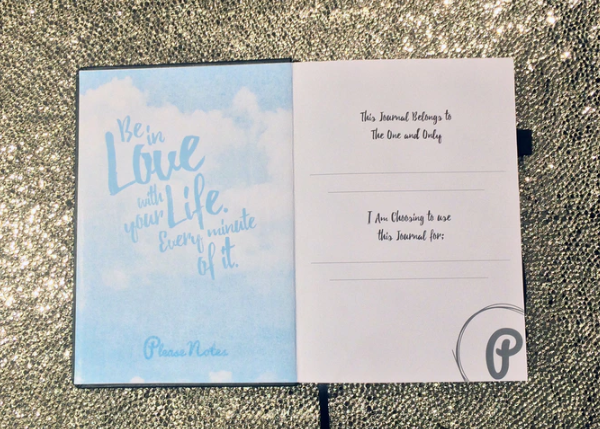 Cheryl Sutherland, founder of journaling company PleaseNotes, says that small business owners should carefully calculate shipping fees in advance. Otherwise, you could end up with pledges that are too low to cover your delivery costs. Once your Kickstarter campaign is over, keep your customers engaged. Provide regular updates on the platform about your company’s progress. And if there are any delays in delivering rewards to your backers, make sure you clearly communicate your timeline. You should also have a solid marketing strategy ready to go when you’re done with Kickstarter. This should include social media marketing, offline marketing, influencer marketing, and other any type of marketing that gets you close to your customers. And if possible, try to avoid sudden price hikes after the Kickstarter campaign. More gradual increases could help customers adapt. Otherwise, you risk your Kickstarter campaign being a one-time success. 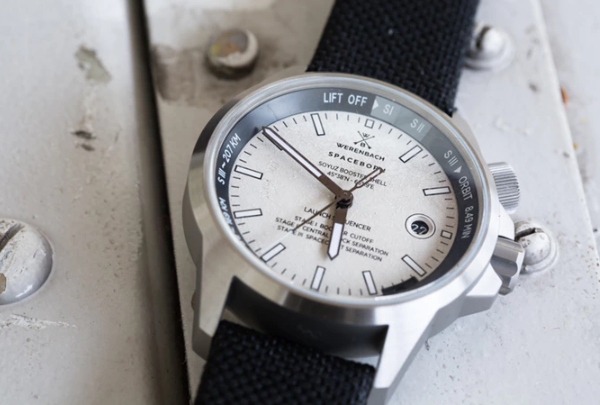 Patrick Hohmann, founder and CEO of Swiss watchmaker Werenbach, raised over $770,000 on Kickstarter. Given the amount of work that goes into a Kickstarter campaign and the fact that success rates are low, it’s best not to pin all your hopes for funding on Kickstarter. Rather, Kickstarter should be just one part of your overall financial and marketing strategy. You should also consider alternatives to Kickstarter, like business grants, business loans, raising money from investors, and other financial solutions. In some ways, Kickstarter funds are like small business grants. There’s no debt or interest to pay back, and you get to retain full ownership in your business. Federal, state, and local governments, as well as nonprofit agencies issue grants to businesses. But, like Kickstarter, getting a grant is a highly competitive process. Most businesses aren’t eligible or lose out to other applicants. In this case, business credit cards can offer a good alternative source of financing. Ordinarily, if you charge something on a credit card, you have to pay at least a minimum balance the following month. But some business credit cards offer an interest-free, 0% APR period during which you can charge money up to your credit limit without paying any interest. Granted, this isn’t exactly the same as raising funds on Kickstarter. With Kickstarter, the only obligation you have is to make sure your backers receive their rewards. With a business credit card, you have to start paying back what you borrowed when the interest-free period ends. However, the interest-free period can give you some much-needed breathing room while ramping up your business. The Blue Business Plus Credit Card from American Express offers the longest 0% APR period on both purchases and balances on the market—a full 15 months. There’s no annual fee on this card, plus you can earn 2x points on your first $50,000 in purchases. After the 15 interest-free months are up, your APR will set in at a rate that will depend on your creditworthiness and vary with the market prime rate, so be sure to see American Express’s terms and conditions for the latest APR information. Kickstarter: The Ticket to Launching Your Business? Kickstarter can be a great platform for startups and small businesses in need of funding. 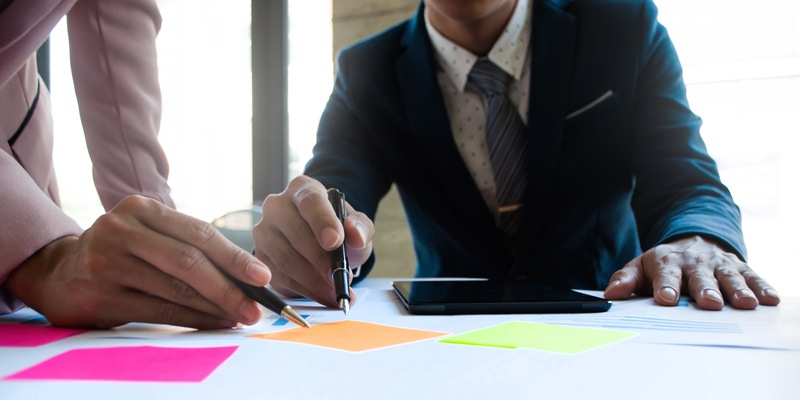 Not only can you get the money you need to grow your company (without incurring debt or giving up equity), but you can also expand your customer base. But this definitely is not a “get rich quick” strategy. You should be ready to pour significant time and resources into your Kickstarter campaign before you launch, and after to keep the momentum going. The most successful small businesses use Kickstarter as just one part of an overall marketing strategy that works for their business model and industry.